Trigger point injections are a procedure for treating pain. It is used to treat painful areas that contain trigger points, or knots of muscle that form when muscles do not relax. A needle containing a local anesthetic is inserted into the trigger point to make it inactive and therefore alleviate the pain. 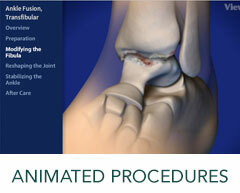 The procedure takes just a few minutes and is done in the doctor’s office. It is very safe and has minimal side effects. Trigger point injections not only relieve pain, but also loosen the muscles which are causing the pain to therefore help with the rehabilitation process. To learn more about our Trigger Point Injection Services, please contact us today to schedule an appointment!